A collection of nine stories - or confessions - of the celebrated gentleman thief Arsene Lupin. . . .I have in my bag. By Jove, I didn't spend six months with Dickson, the conjurer,[C] for nothing!" "Was Horace Velmont! Was good old Lupin! Leaving the countess at three o'clock in the morning, I employed the few remaining minutes before the husband's return to have a look round his study. On the table I found the letter from the working jeweller. The letter gave me the address. A bribe of a few louis enabled me to take the workman's place; and I arrived with a wedding-ring ready cut and engraved. Hocus-pocus! Pass!... The count couldn't make head or tail of it." "Splendid!" I cried. And I added, a little chaffingly, in my turn, "But don't you think that you were humbugged a bit yourself, on this occasion?" "Oh! And by whom, pray?" "Arsène Lupin, what's your real opinion of Inspector Ganimard?" I prefer the Lupin short stories to the novels. In the novels for some reason, he tends to come across as a bit of a jerk. Quel plaisir de me replonger dans la série Arsène Lupin, ici on y retrouve un recueil de neuf nouvelles toutes aussi bien les unes que les autres. What can I say, I love the Arsène Lupin stories. The exploits and heists of the thief are far more interesting to me than the deductions of the a drug-using detective. 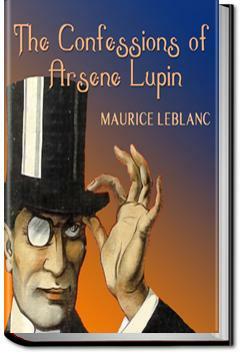 A collection of short stories about the French gentleman-thief, Arsène Lupin. Lupin owes a lot to Sherlock Holmes and to Poe's Chevalier C. Auguste Dupin, but with his own French, and larcenous, spin. Toujours un recueil de nouvelles d'Arsène Lupin. J'ai décidé de suivre un ordre de lecture des livres que j'ai trouvé sur internet et non pas de suivre la date de sortie. Je peux ainsi mieux faire des liens lorsqu'on rencontre un personnage déjà vu auparavant. With reading this book, I finished June's challenge one week earlier.